In Australia we live in a society which places emphasis in the principles of open-government and transparency.The Freedom of Information Act 1982 was designed to make government more open and accountable by providing a right of access to information in possession of government. Individuals have rights under the Freedom of Information Act 1982(Cth)to request access to such documents. This includes documents containing personal information about them or unpublished information about government programs, policies and decisions. It is also possible for individuals to ask Ministers and agencies to correct or add a note to any information that is being held about them. Most Australian Government agencies are subject to theFreedom of Information Act (the FOI Act) the general rule being that the Act applies unless it is expressed not to apply. While making a formal request under the FOI Act may seem daunting and overly complicated, in reality it is relatively simple and easy to do. Any person, including children, or companies can make a FOI request. It is not necessary to use your real name to make an FOI request. However, if you are seeking access to documents that contain your personal information, ministers or agencies will need evidence of your identity. Acceptable identity documents include passports, an Australian driver’s licence or a proof of age ID. Before making an FOI request, you should first contact the minister or the agency if they are willing to provide the information you want without an official request. This will often be faster and more convenient than making an official FOI request. However, if the minister or an agency, for whatever reason, refuses to accede to your request then you should consider making an official FOI request. Put the request in writing. It should be noted that, under recent changes to the FOI legislation, email counts as writing. Send the request to a minister or an agency. Request can be made either by post, personal delivery or via email. There is no application fee for making an FOI request or for processing a request for your personal information. However, there may be charges for processing a request for other types of information. It is up to the department’s discretion to decide whether to impose a charge or not. When the agency or minister receives your FOI request, they must notify you within 14 days that they have received it. In cases where the agency does not have documents you are seeking but is aware that another agency or minister is likely to have them; your request will be transferred to that other agency or minister. An agency or minister is required to make a decision on the request within 30 days of receiving the request. There are certain exceptional circumstances that allow the agency or minister to extend the time period, for example, if the request is unusually complex or large, where the charge has not been paid or where foreign government, international organisation or other people needs to be consulted. According to the FOI Act, where an agency receives an application that is invalid, i.e. it does not comply with the Act, it is the duty of the agency to help you to make a valid application. Under the FOI Act every person has a legally enforceable right to obtain access to a document of an agency or minister. However, there are certain limitations to this right. You will not be provided with documents that are exempt. A document may either be exempt or conditionally exempt. 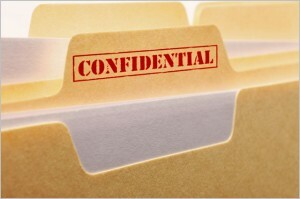 Conditionally exempt documents will not be disclosed if their disclosure is contrary to public interest. If an agency or minister refuses your request on the grounds that it is exempt or conditionally exempt, they must explain their reasons in the notice of decisions. If you disagree with a decision, you can ask for an ‘internal review’. This means that a different officer will consider your request and make a decision within 30 days. If you disagree with the internal review decision or do not wish for an internal review to take place, it is also possible to ask the Information Commissioner to review the decision. If you disagree with the Information Commissioner’s decision, it is possible to lodge an appeal with the Administrative Appeals Tribunal.